July 2014 / $39.95 / ISBN 978-1-927335-44-4 / 6 x 9 / 322 pp. ***This collection is included in our 50% off sale until September 1st! This book includes a remarkably diverse range of voices and perspectives on the under-researched topic of mothers electing to stay at home to care for their children or returning home after being in the paid workforce. As the first international collection of its kind, it explores with sensitivity and insight some of the deep cultural, personal and policy tensions around stay-at- home mothering. 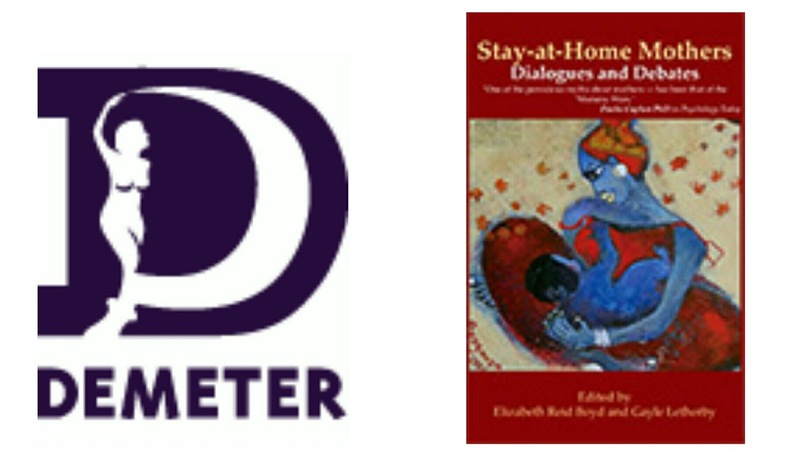 Elizabeth Reid Boyd and Gayle Letherby draw together contemporary social science research, media analyses and reflections on the lived experience of mothers. This book is distinguished by its openness, moving beyond familiar stereotypes and toward a different way of thinking about this important issue. This collection addresses an important sphere of debate about which everyone has an opinion and many have experience but rarely has it been the topic of thoughtful reflection and research. The conundrum of maternity in the present globalizing post- industrial neo-liberal world offers difficult dilemmas and often contradictory flows of emotion, ethics, and economics which impact us all. This volume goes some way to begin seriously addressing these quandaries, appealing to a range of subject positions and maternities. Also...If you write a review of a Demeter Press book on GoodReads by August 7th, you will be entered a Demeter book of your choice.